If you’re a bride on a budget, take a look at the newly designed Marcus Hotels wedding website. The site showcases the company’s three exclusive Milwaukee properties: The Pfister Hotel, InterContinental Milwaukee and Hilton Milwaukee City Center. All three of these venues offers special discounts on more non-traditional wedding days, for couples looking to save some cash. Couples planning their weddings for the biggest night of the year will treat guests to a Champagne toast, balloon drop, and popcorn station, all compliments of their venue. 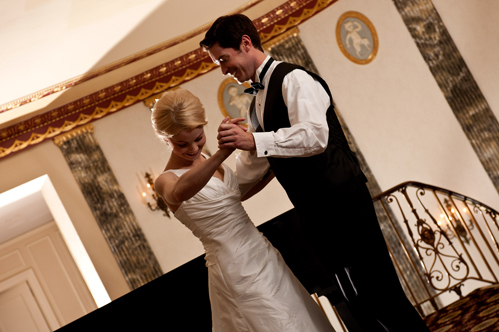 When couples book a ballroom for a Friday wedding, they’ll receive 10% off food and beverage menu pricing, and a $200 WELL Spa + Salon gift card. Those booking Sunday weddings will also receive the 10% discount on the food and beverage menu pricing, and a $200 WELL Spa + Salon gift card, plus a complimentary late night snack for up to 100 guests. Couples who book for a Saturday in December 2013 will receive 10% off the food and beverage menu pricing, along with a complimentary beverage package upgrade. What better day to get married than the very day known for romance and love! Couples who book their reception for Friday, February 14, 2014, will receive a reduced food and beverage minimum, 15% off food and beverage packages, and a complimentary signature drink designed with you in mind, to be passed during initial cocktail hour. Bookings on Saturday, February 15, 2014, will receive a reduced food and beverage minimum, 10% off on food and beverage packages, plus a complimentary signature drink designed with you in mind passed during cocktail hour. 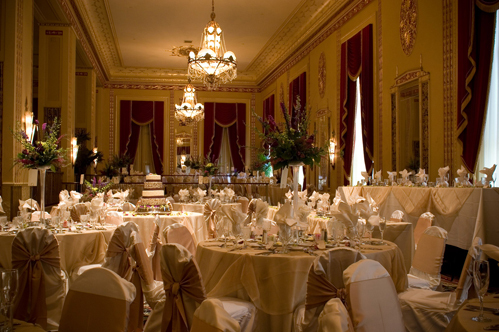 All active members of the military receive 25% off any wedding package or reception. Couples interested in any of these packages can contact Kim at kimcasey@marcushotels.com.